I'm Here. I'm Queer. What the Hell do I read? : My Speaker Visit Website Is UP! 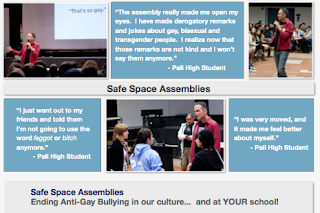 So I've been posting on this blog over the past few months that I've been visiting schools and groups to present Safe Space Assemblies and Smashing Stereotypes Workshops. 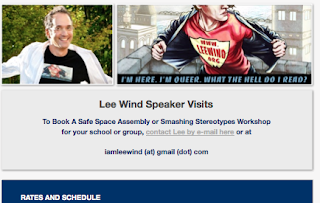 To put all the information about those speaker visits in one place, today I launch my Lee Wind Speaker Visit Website! I tried to cover the bases, and get all the information on my speaker visits (even Skype visits!) organized and accessible. I'm excited about it. Thanks for letting me share! 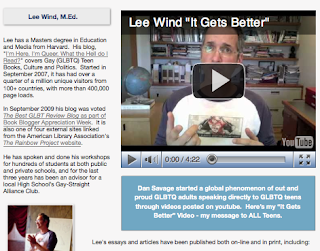 Lee - Congrats on getting your site up and running. I look forward to hearing about your successes! This is great work you're doing! You're making an awesome difference in the world out there. Lee, your website looks amazing! All the photos of you speaking with teens look so dynamic. I know you must be changing lives, what a great feeling. I haven't been able to get onto the website, but this such a great thing you are doing. Bravo! Congratulations, Lee!! The new Web site looks FANTASTIC. I am blown away by all that you achieve. Here's to 2011! Goodness knows what it will bring! Wow. Congratulations! You should be excited! 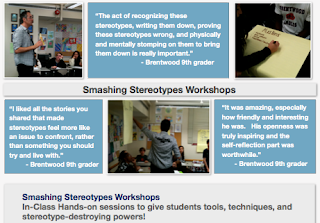 Loved all the pics (esp the Smashing Stereotypes ones) And your vid on It Get's Better. Had not seen yours. Hope this leads to many more visits..what an inspiration. Thanks to you all! It's very cool to have such a supportive community.